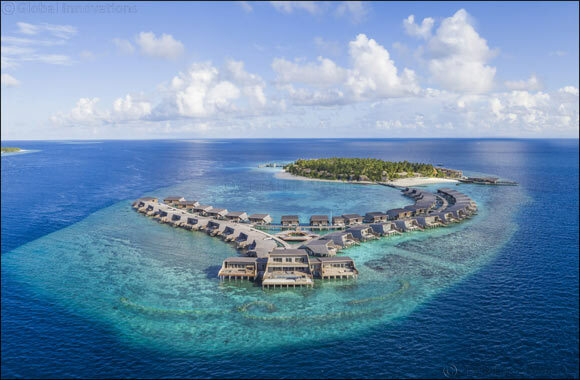 Saudi Arabia, 19th September 2018: The St. Regis Maldives Vommuli Resort welcomes families from Saudi Arabia looking to celebrate their country’s national day with a holiday in cooler climes. To mark the 88th anniversary of the unification of the Kingdom of Saudi Arabia on September 23rd, visitors from the Middle East can enjoy special room rates, a great selection of dining offers for the whole family and a host of complimentary experiences across the private island resort. For the starting rate of USD 1,100++, guests can choose to check into one of the resort’s garden, overwater, beach and two-bedroom family villas, or the overwater suites. Each booking also comes with USD 100 food and beverage credit per adult, for each day, to be used at any of the resort’s restaurants, with the exception of in-villa dining and private dining. The offer also extends to the little ones, with children below 12 years not only staying for free at The St. Regis Maldives Vommuli Resort; all their meals and activities across the island are also gratis. Adults, meanwhile, can start their day with free daily sunrise yoga sessions before exploring the warm waters with complimentary non-motorised activities at the diving centre. Alexander Blair, general manager at The St. Regis Maldives Vommuli Resort, said: “We look forward to welcoming visitors from Saudi Arabia and across the Middle East to celebrate the national day of the Kingdom. With a travel time of only six hours, the Maldives is a high demand destination for those living in Saudi Arabia. Located directly on the white-sand beach, the two-bedroom family villa is a popular choice of guests from the Middle East. The two-storey villa accommodates a family of four and features an outdoor plunge pool, private terrace, ocean views and a personal St. Regis butler. The offer for guests travelling in from the Middle East applies to all bookings made between 28th August and 19th December 2018 for stays between 1st September and 19th December 2018. No minimum length of stay is required although complimentary upgrades are not applicable with this offer. The package applies to new bookings only and cannot be combined with other deals, except honeymoon offers.